Missoni’s Fall/Winter 2017 campaign has been shot, under the creative direction of Angela Missoni, by photographer Harley Weir. Featuring Gigi Hadid, the campaign is set in the surroundings of Angela’s home in Brunello, Italy, overlooking Monte Rosa – which becomes the driving force in the background of these statement images. Missoni’s images are a continuation on the theme of female empowerment, identity and freedom to be, as previously demonstrated at the FW17 fashion show in Milan during which Angela Missoni made an impassioned speech calling for unity and fearlessness in the fashion community, particularly in these times of relentless domestic violence and continuous challenges threatening women’s rights. Slim, sensual and iconic designs from Missoni’s Fall/Winter 2017 collection bring into singular harmony banded and trapezoidal patterns, checks and macro space-dyes, monochromes and exclusive technical elaborations, while celebrating a freedom in combining and superimposing the lively colors, warm textures, proportional lines and alternating lengths, which are the protagonists of this season’s campaign. The campaign’s womenswear is styled by Vanessa Reid, who presents looks adorned with jewelry by Joseph DeMeo, while the menswear is styled by Stephen Mann – both longtime collaborators. 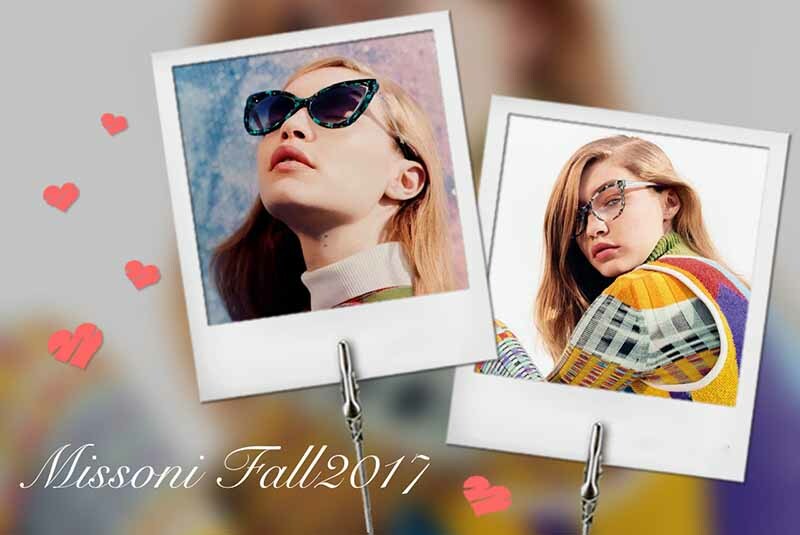 Under the artistic direction of Peter Miles, this season’s campaign also introduces new models from the Missoni Eyewear collection. Favoring contoured imagery, cut-out bodies and looks stand out against the soft, gradated landscape referencing the environment and a bond with nature. The images showcase Angela’s world and her ideal choices and ideologic creeds, on the occasion of her 20th anniversary as creative director of the house of Missoni.